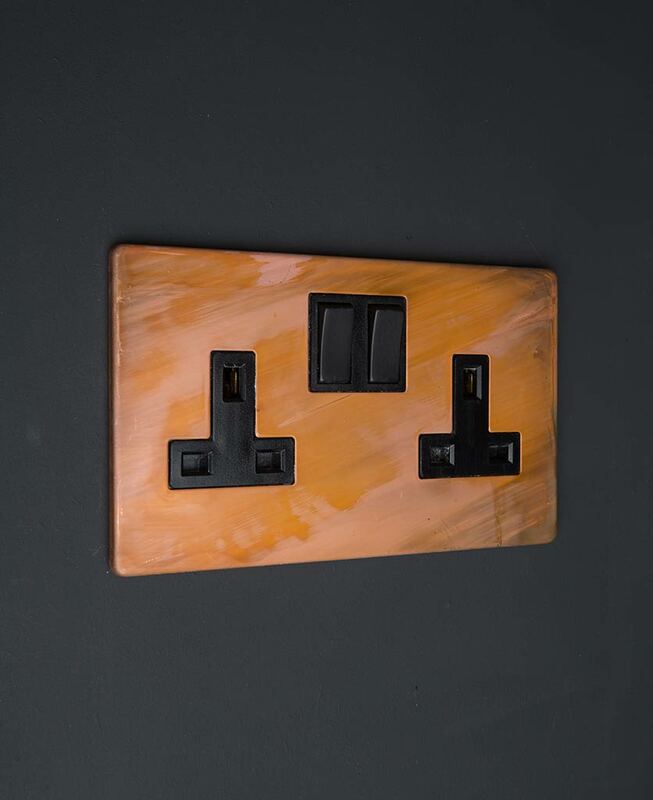 We think you’ll agree that our individually distressed finish, copper double plug sockets are quite stunning. We’ve done our best to capture the beauty of these double sockets in the photos, however, the finish of each one is unique and may differ from that shown. Having said that, they do all age with use to look less ‘new’. 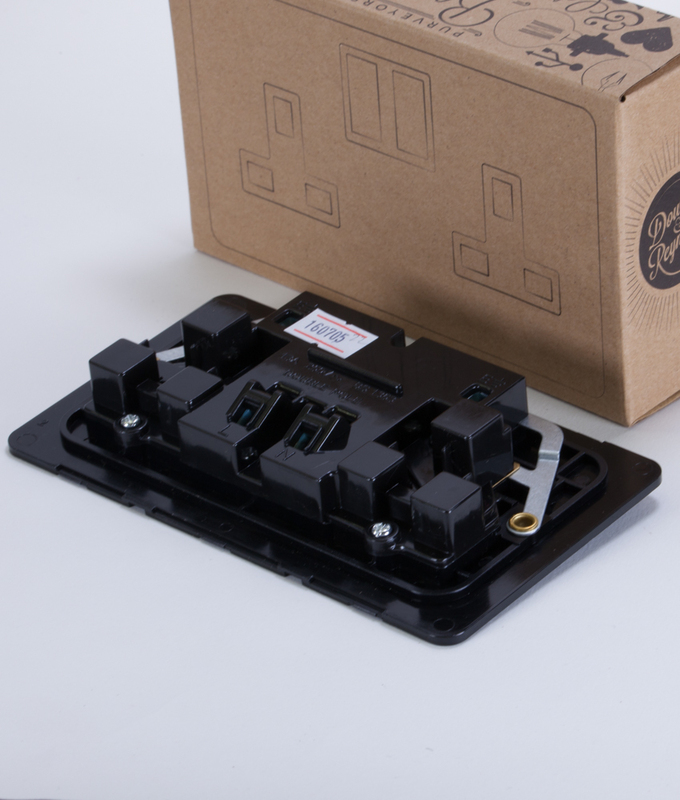 Our aged copper double plug socket is exclusively designed and sold online by us. We’ve made it so that the copper is left untreated – it acquires a random individually distressed finish over time. Perfect for an industrial theme. The copper itself is lovely warm shades of oranges that over time get infiltrated with violet purples and dusky blues – they more you use them, the more fabulous they look. A fascinating process to observe. 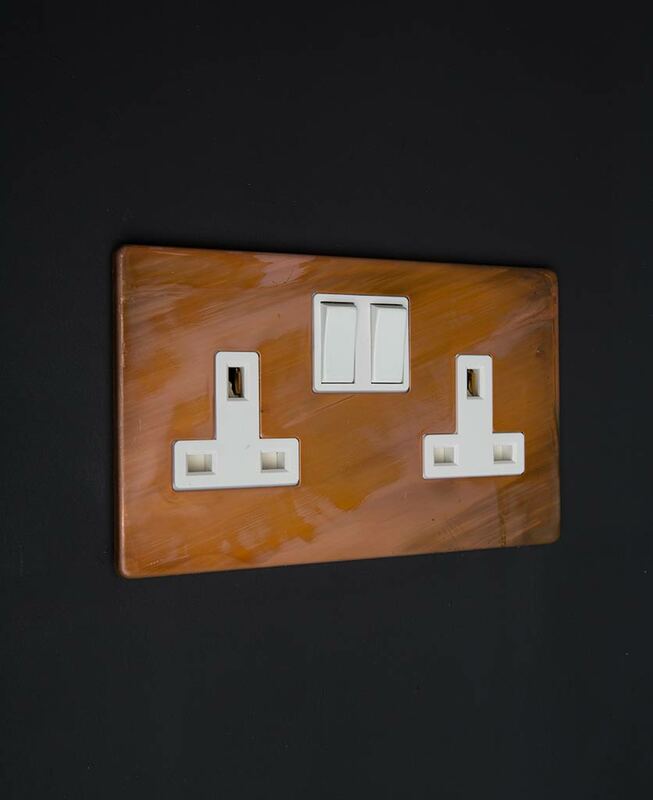 Our designer 2 gang copper plug socket will certainly look the part in any industrial-style interior; be that full-on raw style or modern rustic and is just perfect for finishing off an up-cycled and unfinished room. We’ve designed it that way – we despaired of ever finding well designed, high quality and edgy wall sockets that didn’t cost a small fortune. We love these! 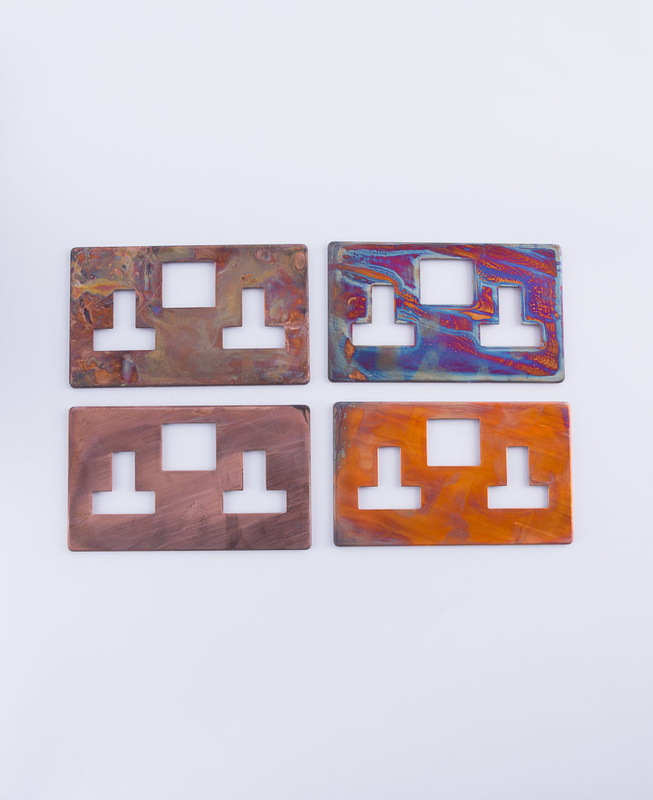 Each tarnished copper item is unique and the finish can differ from batch to batch so we strongly advise ordering any items for the same room together to ensure consistency.